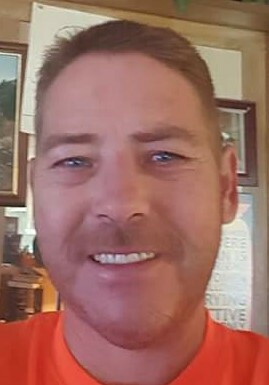 Michael Gaylord, 52, of Aurora passed away Friday, October 5, 2018 at his residence. Michael was born Wednesday, May 25, 1966 in Lafayette, Indiana the son of Kendall and Karleen (Ford) Gaylord. He was a member of Cedars of Lebanon Church in Dillsboro. He was a Union Bricklayer, enjoyed Nascar, watching football, hunting, fishing and camping. Michael is survived by daughters: Candi of Aurora, Kayla of Manchester and Brianna (Taylor) Roark of Milan; son Tanner Gaylord of Manchester; mother Karleen Gaylord of Aurora and 11 grandchildren. He was preceded in death by his father and brother Mark Gaylord. Arrangements will be announced at a later date. Memorial Contributions may be made to the family in care of the funeral home. Sibbett-Moore Funeral Home entrusted with arrangements, 16717 Manchester Street, Box 156, Moores Hill, Indiana 47032, (812) 744-3280. You may go to www.sibbettmoore.com to leave an online condolence message for the family.